The Republican-helmed Federal Communications Commission is expected to pull the plug on net neutrality rules in three weeks — but tech companies, entrepreneurs and other concerned users are vowing to not go down without a fight. On one side are internet service providers, who believe rolling back the Obama-era rules will allow them to innovate and offer customers new options at more competitive prices. Tech companies, including Google, Facebook and Apple, have warned that this could set a dangerous precedent, allowing these internet service providers to become gatekeepers of information and entertainment. Google and Facebook released statements on Tuesday saying they were "disappointed" and expressed concern for the effect that changes could have on consumers. Engine, a nonprofit group representing more than 1,000 start-ups and investors, released an open letter to FCC Chairman Ajit Pai detailing how they're worried they won't have a fair chance under his proposal. "Without net neutrality, the incumbents who provide access to the internet would be able to pick winners or losers in the market. They could impede traffic from our services in order to favor their own services or established competitors," the letter said. "Or they could impose new tolls on us, inhibiting consumer choice." The signatories said they're worried these actions could hinder the ability of new entrepreneurs to start a business and have a global reach — shifting the focus away from the quality of their ventures to whether they have the "capacity to pay tolls to internet access providers." Evan Greer of Fight for the Future, a digital rights advocacy group, said the group has helped to connect more than 250,000 calls to Congress since Pai announced his intention on Tuesday to nix net neutrality rules. Fight for the Future is also spearheading a social campaign and is planning protests at Verizon stores nationwide on Dec. 7. Kathy Grillo, Verizon senior vice president and deputy general counsel, said in a blog post the company was "confident" that the FCC's new framework would protect consumer access to the internet "without forcing them to bear the heavy costs from unnecessary regulation that chases away investment and chills innovation." But while tech companies and average Joes can sign open letters and call Congress as many times as they want, there may actually be little the public can do to stop the FCC from gutting net neutrality rules. Under Pai's plan, states and localities would have their hands tied if they wanted to create their own net neutrality laws. Pai released his plan on Wednesday for ending the Obama-era rules in favor of a "light-touch approach" that would give internet service providers free rein to control your online experience. That means internet service providers will be able to act as toll keepers, prioritizing traffic to their own sites, controlling the speed a certain page loads — a practice known as "throttling" — and even blocking access to certain sites. The one caveat: They'll have to disclose these practices, either through an easily accessible public website or by informing the FCC. In addition, it would return the power to the Federal Trade Commission to advocate for consumers against any anticompetitive practices. 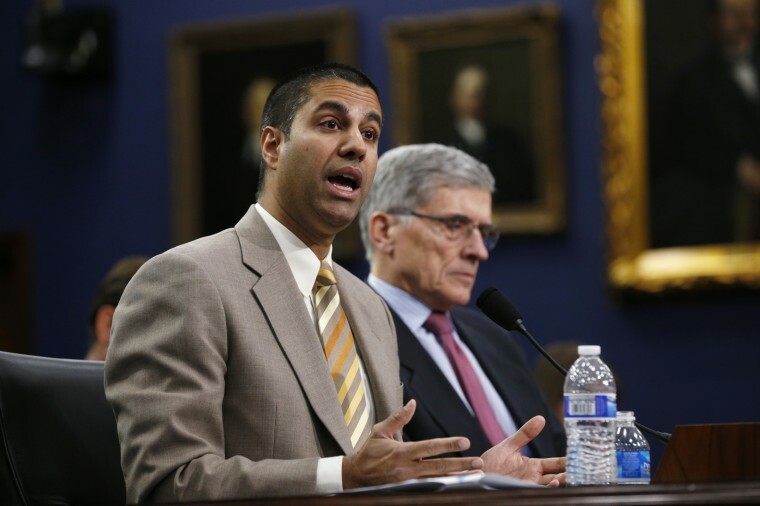 The FCC encouraged consumer feedback on how to proceed — and collected a record 22 million responses before the comment period closed at the end of August. But New York Attorney General Eric Schneiderman said his office has spent the past six months investigating hundreds of thousands of those comments, saying many were spam offering antinet neutrality views. Some of the comments used fake names and email addresses, while others borrowed the details of real New Yorkers, which Schneiderman said is akin to identity theft. The FCC has thus far not responded to any requests to cooperate with Schneiderman's investigation, according to his post. In a call with reporters on Tuesday and before Schneiderman's letter was posted, senior FCC officials said some of the comments were form letters, entered by the same person multiple times and made with fake email addresses. Consequently, they said they did not take into account the quantity of the comments when making their decision and instead focused on quality. While the topic of net neutrality is certainly one that can be described as "wonky," it's still something that could affect every person who uses the internet. Some Twitter users even said net neutrality was likely to come up as fodder in an unusual place: at the Thanksgiving dinner table. This net neutrality thing seems to be working my parents asked me about it instead of bitcoin this thanksgiving. This net neutrality business is really killing my thanksgiving spirit!!!!!!!!!!!!!!!! NBC News is owned by Comcast, the nation’s largest internet service provider.